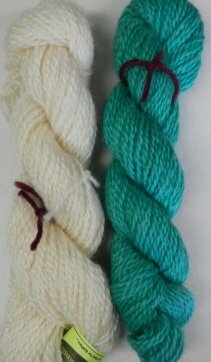 I had this yarn spun from the fleeces of Border Leceister sheep raised here in Vermont. 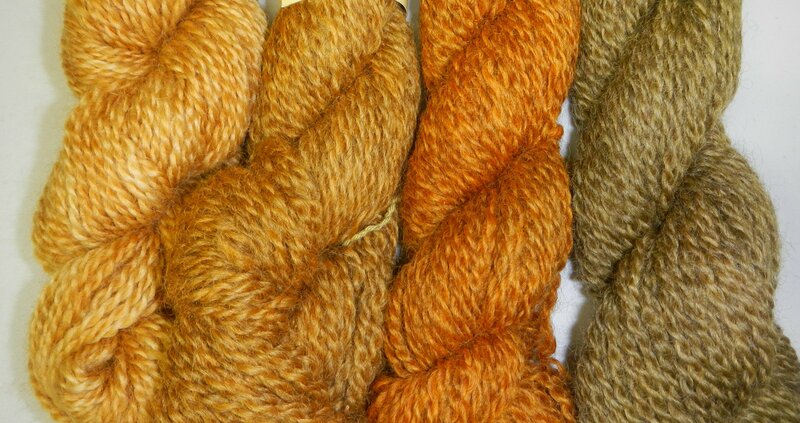 Border Leceisters are a long wool breed, so this is a really lustrous and durable yarn. 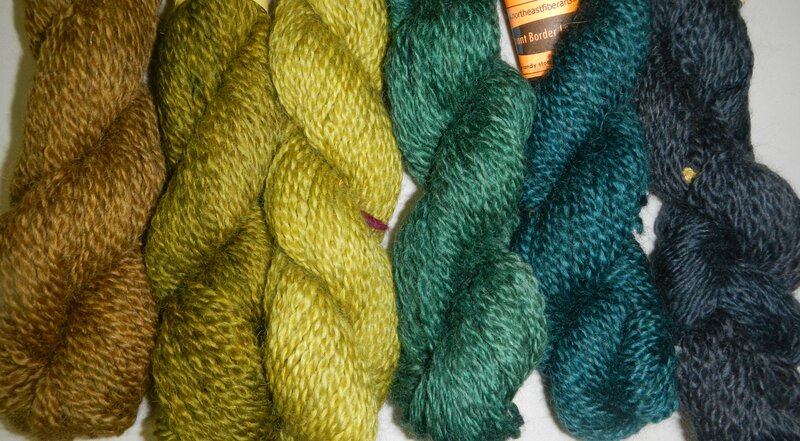 And as Border Leicester goes, it is quite soft since I personally select the fleeces that go into my yarns. But it is Border Leicester, not Merino, so keep that in mind if you are really sensitive and want to knit something for next to the skin. That being said, I can wear this next to my skin. Because of it's durability, this yarn is great for mittens and outer wear sweaters. It shows stitch definition well (see hat below). And if you want the durability of this yarn but want softness next to the skin, you can always knit an angora lining for your hats or mittens (see mitten below showing the lining pulled inside out of the mitten). 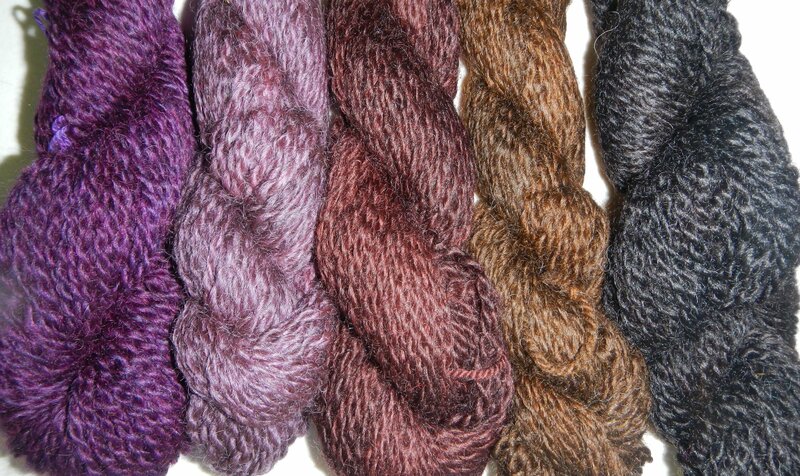 Some of the colors I dyed over white fleece and others over grey, so you can achieve some really subtle and rich color combos with this yarn if you are looking to do some colorwork. * adobe is not such a great color on its own, but it works in really well with many of these if you are doing color work and want a lighter neutral (it is a light shade of pink dyed over a grey fleece, but we all agree we'd describe it as a light brown with pink undertones!